I've lost that lovin' feeling . . . for seeing any movie in 3D. 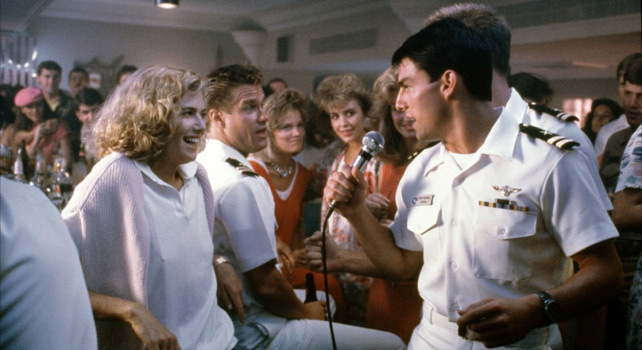 It was reported today that Top Gun would be getting the 3D treatment and could potentially be released back into theaters sometime early next year. Add it to the list of ‘old’ films that will be getting 3D treatment and will be released next year (Star Wars: Episode I and Titanic are also on the list). Hollywood recycling old films is nothing new, the 3D converting of older films however, somewhat is. Now, I don’t want to rehash my stance on what I think of 3D (for that, see this blog post). However, just when it seems that 3D might be quieting down and we may get a break from it, it’s thrust right back in our faces. The difference this time being that these aren’t new movies that are coming out in 3D . . . they’re old ones. As you can imagine, converting older films for 3D presentation raises a number of questions with the top one being, “Is this a money grab?” I think we’re all familiar with the Hollywood MO of taking existing properties, turning them into movies, and then bringing them out in 3D to help bump up its box office take. Could that be what’s going on with Star Wars, Top Gun, and Titanic? To answer this question, you really have to look at who’s behind these releases. James Cameron is reportedly spending $18 million on the 3D conversion of Titanic. Can the 'King of the World' be king with 3D again? The film is slated to come out on April 6, 2012–coinciding with the 100th anniversary of the Titanic setting sail. We this much thought and effort being put into this conversion, it seems to me that this is something that Cameron wanted to do and seems to be doing it from an artistic perspective. Will people go out and see it? I’m sure some will, especially those that are big fans of the film. “We think there is great potential for catalog titles in 3D, but studios have had trouble justifying the expense,” Hummel said [CEO of Legend 3D], explaining that Legend 3D is funding and doing the conversion for Paramount. In this case the company behind the conversion seems to be spearheading the effort to convert Top Gun–not the studio or not director Tony Scott. “How nice of them,” you might say for footing the bill and doing the work. Well, just remember, nothing in life is ever free. If you continue reading the piece this quote was drawn from, it says Legend 3D has a revenue sharing partnership with Paramount so they will see some return on their work. However, I suspect that the real reason for doing it is because if they can show what a great job they’ve done on Top Gun, who’s to say other studios or even Paramount might come to them to convert other older films into 3D. I guarantee you they won’t be doing those for free. In the grand scheme of things I can’t get excited for these 3D releases at all. I just dislike 3D too much. I don’t like the glasses and I don’t like the darkened picture you get while watching 3D movies. Be it for artistic reasons or economic reasons, I’ll probably be staying away from these 3D releases next year. A slew of articles and blog posts came out last week reigniting the hot button topic of movies shown in the third dimension. A description of the problem comes from one of several Boston-area projectionists who spoke anonymously due to concerns about his job . . . He explains that for 3-D showings a special lens is installed in front of a Sony digital projector that rapidly alternates the two polarized images needed for the 3-D effect to work. What makes this story so poignant is that it piles on to the ever growing battle between moviegoers and studios/theater owners. More specifically, it gives us moviegoers even more of a reason to hate putting on those glasses. My stance on 3D has been this: I hate it. Ok well, I don’t hate it, but I definitely do not prefer paying a higher ticket price for glasses that I don’t want to put on my face. This mainly stems from the fact that I’ve had to wear glasses/contacts since I was in the 7th grade; and let me tell you something . . . you do not wear glasses if you can help it (which is why I pretty much wear my contacts from when I get up till I go to sleep.) So yes, if I can help it, I try not to see films projected in 3D. And I’m sure I’m not the only moviegoer that feels this way. But there is also a deeper problem: 3-D has provided an enormous boost to the strongest films, including “Avatar” and “Alice in Wonderland,” but has actually undercut middling movies that are trying to milk the format for extra dollars. After a disappointing first half of the year, Hollywood is counting on a parade of 3-D films to dig itself out of a hole. From May to September, the typical summer season, studios will unleash 16 movies in the format, more than double the number last year. . . . . The need is urgent. The box-office performance in the first six months of 2011 was soft — revenue fell about 9 percent compared with last year, while attendance was down 10 percent — and that comes amid decay in home-entertainment sales. Basically, Hollywood is looking to recoup lost revenue from other areas and they’re making 3D films to offset these losses. 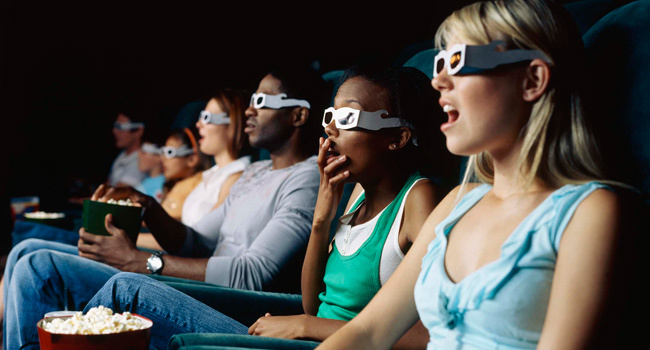 Theater owners are being obligated to show 3D and digital films because that’s what Hollywood is impressing upon them. Conversation begins on the bottom and works its way up. While as of right now no one can really be certain, I’d like to think that our local cinemas aren’t following this practice. I’ve patroned both Consolidated and Regal Cinemas and haven’t found this to be a problem as described in the Boston Globe piece. As I note in my Twiiter conversation, this may only be an issue with our local Regal cinemas as they use Sony projectors with RealD 3D technology (which are the projectors that the Boston Globe piece calls into question). In the end, though it may be Sony’s design flaw in their projectors and Hollywood’s insistence on producing 3D films that are driving factors, it’s ultimately in the hands of theater operators that us moviegoers have to put our faith and trust in to deliver us movie magic . . .
Their [Ty Burr & Roger Ebert] general concern is correct. A theater should NEVER be underlit. There are industry standards for acceptable light levels for both 3D and 2D presentations. Cinemas should always operate within this range. Alamo owns a light meter and we check light levels on all of our screens monthly at a minimum, sometimes as much as weekly. It is a very easy tool to operate, all cinemas should own one, despite the reasonably high price. I think that in the long run what it comes down to is moviegoers standing up for ourselves. One way that we are already showing it is by seeing 2D viewings in lieu of 3D ones. Data has already shown that this past weekend, the highest grossing weekend at the box office so far this year, was skewed towards 2D rather than 3D. 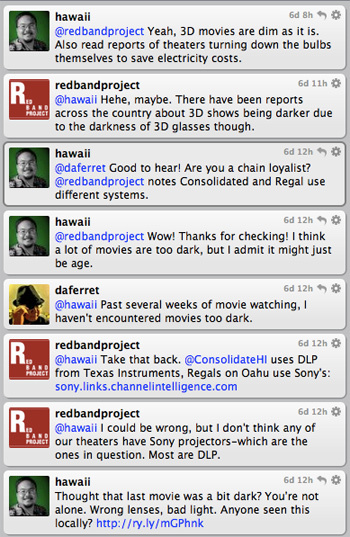 Hopefully if trends like this continue, it will send a clear message that moviegoers don’t want 3D. However, this may not be enough and we may need to be more proactive by bringing attention to bad theater experiences to theater management. Yes, sometimes the “one person can make a difference” mentality can seem a bit cliche’d, but if we don’t do it, who will? I began by asking if you notice, really notice, what a movie looks like. I have a feeling many people don’t. They buy their ticket, they get their popcorn and they obediently watch what is shown to them. But at some level there is a difference. They feel it in their guts. The film should have a brightness, a crispness and sparkle that makes an impact. It should look like a movie! — not a mediocre big-screen television . . . A movie should leap out and zap you, not recede into itself and get lost in dimness. Next time you go to the theater, think about what that $10+ ticket you’re paying for is getting you. Then decide if it’s worth it to take a stand or not. 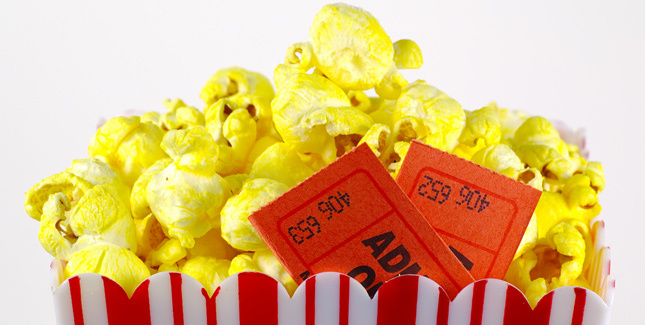 What’s the value of the movie experience to you? Avatar is King of the World! The new James Cameron flick out shot the competition on opening weekend, but is Avatar as good as everyone says it is? So you’ve been to the theater to see James Cameron’s new $400 – $500 film Avatar, and after having taken off the glasses I’m sure something you had to wonder was: Does it live up to the hype? If you’re anything like me, you heard absolutely nothing about this movie before August. More than likely though you started hearing some buzz when the first trailer came out in September or October. Then you started hearing that this was James Cameron’s first movie since Titanic and that he was pushing the boundaries of digital animation and cinema. 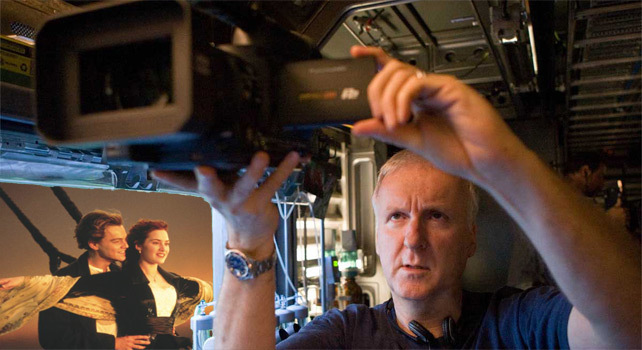 Now, as the dust settles, is Avatar going to be James Cameron’s next Titanic? Or is it just another in a long line of gimmicky 3D movies? In my humble opinion . . . it does live up to the hype. 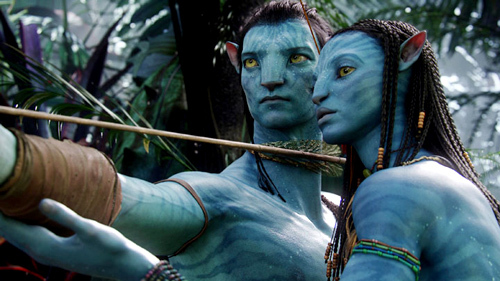 Production on Avatar took four years with Cameron developing new motion capture technology. While digital animation, effects, and green screen are nothing new in film making, the techniques Cameron has pioneered for Avatar are. By developing new motion capture techniques for actors, with emphasis on facial details, and blending that with Cameron’s own brand of CGI-the line between what is live action and digital effects are starting to blur together. As you watch the movie it is very hard to tell that most of what you are watching was created in a computer. It’s almost as if they added in digital imperfections to give the effects and animation a more realistic look. Also, the movie does a great job of utilizing 3D. Most of the 3D involves defining space within the screen with just enough popping out not to make it seem annoying. Buzz has been strong among moviegoers. Photo courtesy Flickr. The general consensus that I’ve heard, for the most part, is that everyone is enjoying their Avatar experience. Friends that I’ve talked to, tweets that I’ve read, reports and blog posts that I’ve been reading all lead me to believe that Avatar is generating a considerable amount of positive buzz. When your movie makes back half of it’s reported budget on opening weekend AND gets a glowing review from hardline movie critic Roger Ebert, good buzz is sure to follow. Who knows, maybe this buzz will lead to Titanic sized attendance in the weeks to come. Call it cliché or just my own naïveté, but I am going to say that Avatar will be one of the top films of the year. I thoroughly enjoyed it, and while the general plot of the movie is something we’ve sort of all heard before, it truly is the journey and not the destination that matters. I bought in to the characters and what Cameron was selling, so much so that towards the end I didn’t know who was going to make it, and who wasn’t. And, as I’ve previously stated, the visuals in the movie are spectacular, especially when combined with the Hi-Defness of IMAX. There’s something in this movie for everyone, so if you’ve got the time during the holidays I say go out and check it out . . . after all, the king of the world is back.